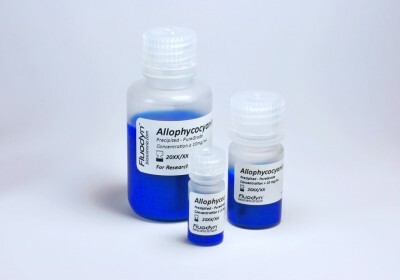 Fluorescent dyes are part of our Fluodyn™ range which includes Allophycocyanin (APC), C-Phycocyanin (C-PC) and B-Phycoerythrin (B-PE). 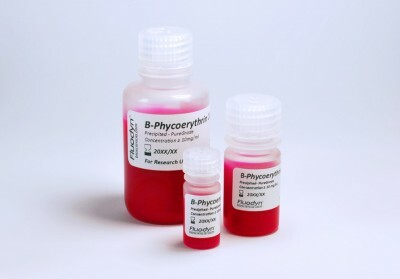 At Biosciencia® we developed an innovative extraction process which preserves the quality of fluorescent dyes purified from raw material as cyanobacteria and eukaryotic algae. Our extraction process preserves these native fluorescent molecules so as to not diminish their effectiveness. 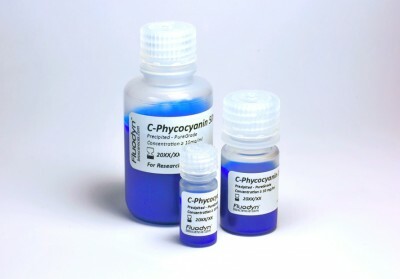 Due to their high quantum yield and absorbance/fluorescence properties phycobiliproteins offer a wide range of abilities as Immunological assays, Protein labeling or Cell sorting. Their physicochemical caracteristics enable extremly high detection sensitivity, low background and multiple colors detection. They also can be employed in FRET mechanism with other dyes. 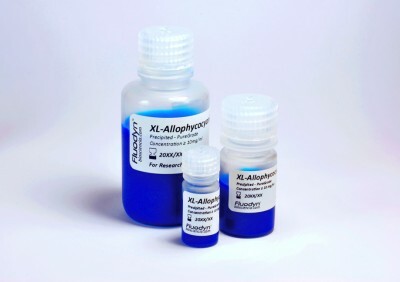 Need bulk quantities or pre-linked dye?